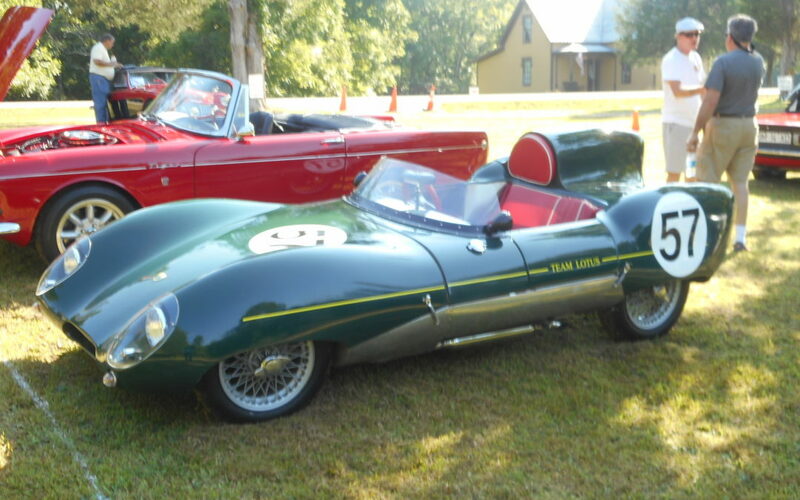 Rugby, Tenn. – Historic Rugby, a restored Victorian village, will host “The Return of the British” our 7th annual British Car Show on Saturday, August 26th, 9:00 a.m. to 3:00 p.m. (EDT). The event is free to spectators. Vehicles can be entered in the show for a fee of $10 (proceeds go to support Historic Rugby), with vehicles judged and prizes awarded. British cars and motorcycles of all descriptions will be on display including Jaguar, Austin-Healey, MG, plus other less-known brands. Come early and enjoy breakfast at the Rugby’s Harrow Road Café before the kick-off of the show, or plan for lunch or dinner at the Café or at one of the food vendors. Early registration of entrants is ongoing, and registration forms are available at www.pbcctn.org/Rugby. For other details, contact Charlie Bunnell at rugby@pbcctn.org or 931-210-3732 or 931-210-3742. Historic Rugby will offer guided tours of its extraordinary restored or recreated buildings showcasing the 1880’s British-American village. A ranger with the National Park Service’s Big South Fork National River and Recreation Area will lead a guided hike at 1:00 p.m. (EDT) to the nearby Gentlemen’s Swimming Hole through shady, cool woods and then return. Or hikers can continue on and see huge boulders and towering trees as you follow the river to the Meeting of the Waters where early Rugbeians loved to picnic and take photographs with the novelty of the portable camera. A complimentary exhibit of historic river photos is on display in Rugby’s ranger station, open 9 a.m. to 5 p.m. EDT each Saturday and Sunday through September. English and American cuisine are available at the Harrow Road Café, as well as from food vendors. Antiques, crafts, and souvenir items are featured in Rugby’s Commissary, as well as the Spirit of Red Hill and Missions Matter. Rugby was founded in 1880 with the goal of building a strong agricultural community through cooperative enterprise, while maintaining a cultured, Christian lifestyle, free of the rigid class distinctions that prevailed in Britain at the time. The village has continued for 135 years, with numerous original buildings either restored or recreated. Learn more about the history of Rugby, its unique attractions, and how to become a member at www.historicrugby.org. Historic Rugby, Inc., the non-profit that maintains the village, celebrates its 50th Anniversary this year. Rugby is located just off State Scenic Hwy. 52, 16 miles southeast of Jamestown and 35 miles from either Interstate 40 or I-75 in East Tennessee on the southern edge of the Big South Fork National River and Recreation Area.